There are railway constructions that, in addition to going down in history for their technical complexity, do so to change the path of a country or a society. This is the case of the Railway network awarded to Saudi Arabia Railway (SAR), and created to connect the main towns in Saudi Arabia with the country’s capital, Riyadh, the borders with Jordan and The Persian Gulf. The SAR wanted to commemorate this project by constructing a building that would home the largest interactive screen in the world. The curved shape of the building, the daylight entering against the video wall, and the interactivity with the user, made this project truly a challenge. 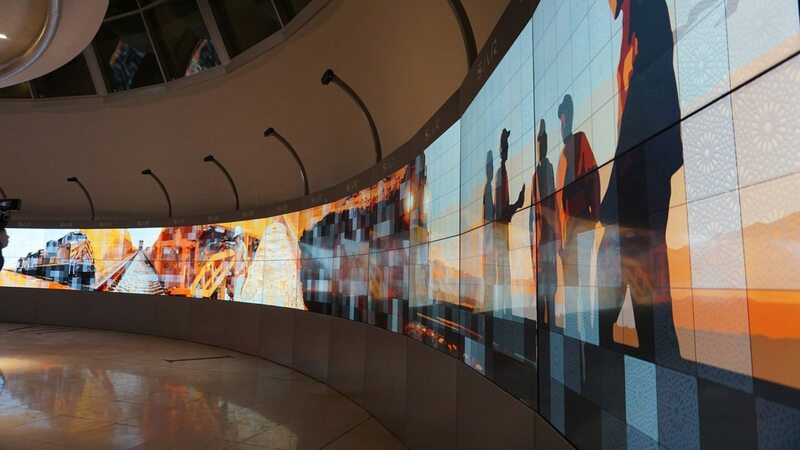 A curved interactive screen with measurements of 37 metres long and 1.2 metres high. To create this interactive surface we installed a video wall made up of 54 55-inch monitors placed at 2 heights that covered a large part of the building. 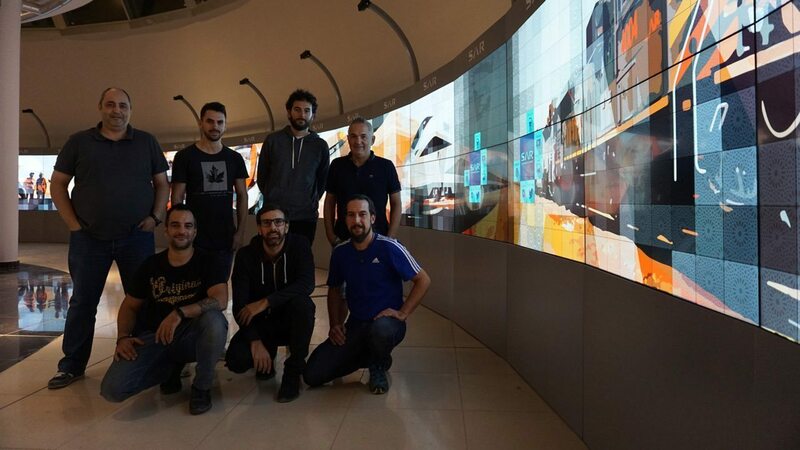 More than 150 hours of work culminated in the installation of the biggest and most efficient screen in the world with no fewer than 51.840 x 2.160 pixels. An audiovisual installation that shows, in an interactive way, the development of this ambitious railway network. The screen in itself is a striking feature for the visitors at the station. The structure that supports it, designed and made of steel in Spain, was transported to Riyadh together with the rest of the material to install the giant video wall. 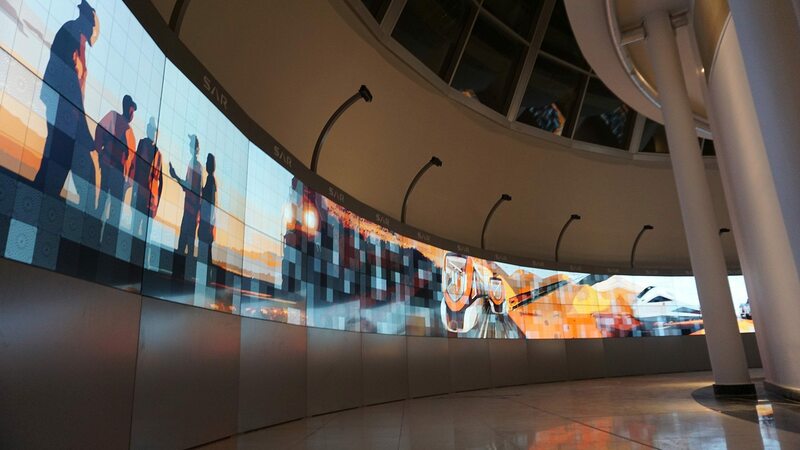 As for the interaction of the giant screen, 14 kinetic points distributed along the video wall were responsible for providing the interactivity of the screen. It would detect the presence of people and showing them a personalised content. The screen is one of the main attractions of the building in which SAR wants to make public the great effort needed to develop the enormous railway network. The content shown will help to achieve that goal.